Finding a job in today’s market is far from easy – it’s even more challenging to find work that truly inspires you and gets you excited to wake up every day. Students are graduating every year with expectations to be challenged and finding jobs that allow them to nurture their skills and capture new ones. But instead, upon graduation they are often met with low paying jobs that have little room for growth and very little opportunity for development. Enter the world of Freelance. Freelancing comes in many different shapes and sizes. Some people act as freelance designers, some people act as freelance writers and some act as freelance consultants. No matter what type of freelancer you are, at the end of the day, you’re providing a service to your clients. I’m the type of person that gets bored easily and needs to be doing something productive with my time…So, instead of squandering my time, I channel my efforts into a few hobbies and advancing my freelancing career. I set aside enough money to live comfortably on while I took a breather and worked on my new portfolio. I took about two months off to focus on personal projects, including my new portfolio, and I like to think it’s better because of it. Rather than solely focusing on the skills that help you do your current job, freelancing will give you the insight and information you need to know how to better manage money, manage a business, manage time and anything specifically linked to the services you offer as a freelancer that go beyond your day to day job. One of the most exciting parts of running your own freelance business is the adrenaline rush associated with risks and dealing with clients. You’re constantly making decisions and that allows you to learn new things. When you build your freelance business on the side you will start to develop a wide variety of different skills that you didn’t even consider requiring to run the business. These new skills will carry with you from one endeavor to the next allowing you to have an understanding in things like marketing, finance, networking and organizational planning. To build on the last point about skills, these new skills can also help open new doors for your career. I know a handful of people who never worked a formal day in their life as a copywriter but leveraged blogging and the risk to become a freelance writer to ultimately create a career in writing. If you have the talent or are willing to learn, a freelance business can help open new doors with new companies or entire industries. The economy isn’t exactly reliable and business today isn’t what it once was. While the generations before this one may have had the liberty of working with the same employer for 20+ years, that sense of security just doesn’t exist in today’s market. A lot of people think the best idea is to find a large company and work there forever. In todays world, research is showing that more than 70% of the companies on the S&P 500 will likely not even exist in 2027. The trend that companies are unstable is showing no signs of slowing down and ultimately is painter an even clearer picture of why building a freelance company on the side makes so much sense. For many who’ve been laid off or let go from work unexpectedly, the worst part is having to start all over. Building a freelance company on the side while employed ensure that if you do get laid off, you’re not stuck without a plan. You’ll have existing clients and hopefully be in a place where you can ramp up your freelance business to either keep at it full time or hold you over until you find new full time employment within another company. If you like design but find yourself simply doing production work in the office, you leave all kinds of talent under utilized. Working as a freelancer on the side gives you more chances to do what you love and spend time doing work that gets you truly excited and energized in the morning. Like any exercise or skill, the more you do something, the better you’ll get at it. When you’re doing freelance on the side, the more work you do, the faster you can identify whether or not the work is truly something you’re passionate about and enjoy doing. According to recent reports, the average freelancer earns roughly $36,000 a year. Assuming that you’re able to build this side business and generate a decent client base, let’s estimate that you can generate 35% of what a full time freelancer could make on the side. If you take into consideration the various insights found throughout this book, I’m confident that this can be a reality. As such, you would be looking at generating $12,600 on top of your existing salary a year. Freelancing on the side is great for giving people extra cash in their pocket. A lot of people who are starting their careers are strapped with debt and being met with high rent, car payments and cell phone bills. Freelancing on the side gives you the ability to live better and stress less about student debt and the other bills piling on top of one another. [Freelancing while at a full-time job] definitely builds up your experience, confidence and contact list. Think of it like training wheels. Once you feel self-assured, you can take the plunge to ride on two wheels – erm, go full-time. We talked about a lot of the benefits of freelancing on the side but I think the money piece is often overlooked. If you talk to financial advisors, parents or even professors, a lot of people will tell you to save your money and cut back on the number of meals you eat out every month. As a freelancer, you have the ability to shift your mindset from cutting back on life’s little enjoyments and spend more time thinking about how to earn the right to enjoy those little things. If you can generate $1000 a month from freelancing on the side (which is less than 35% of what the average freelancer makes) you have much more financial freedom than you would cutting back on the number of lattes you enjoy a month. In fact, the average Grande Latte at Starbucks in North America is 4.08 – With one month of freelancing and generating $1000 in profit, you could buy more than 200 lattes without dipping into the pay you receive from your 9 to 5 employer. Now before you start embracing the idea of freelancing on the side, you need to ensure that it doesn’t go against any work policies. Some organizations and agencies in particular have a strict no-freelance rule. Others don’t care if it doesn’t interfere with your full time work. If you’re in the position of the former, you have to consider whether or not you’re comfortable breaking these rules and ensure that you work with people who won’t blow your cover. If you don’t want to break the rules, consider changing jobs and finding an employer who doesn’t mind. Either way, you need to be sure your freelance doesn’t conflict with your full time employer. For example, a big no-no is calling up your agency’s clients and trying to undercut them. However, if a lead comes in the door who doesn’t have the budget to hire your agency, you can always ask your employer if s/he minds you calling them to do the work on the side. The best way to find clients for freelance is to just mention it to your contacts when out having a coffee. Every place you’ve ever worked at will leave you with a list of relationships you can leverage. Maybe there was a sales guy who you hit it off with at an old firm. Ring him up for a coffee, and casually mention that you’re looking to take on some side work in case he knows anybody who needs design/writing/coding work. Maybe even offer throwing in a finders fee to give extra incentive. “My foray into entrepreneurship was a bit unusual. I was invited to join a “creative collective” (or an “anti-agency” as I like to call it.) Basically everyone had the freedom to run their own shop, but also the security of guaranteed work coming from the senior level members. It was the best of both worlds. If you didn’t know, let me be the first to tell you that marketing yourself is one of the most important aspects of freelancing. It’s one thing to be intelligent, creative and talented – It’s another to be able to sell those skills to clients. It’s hugely important to build a reputation around your skills if you’re looking to succeed as a freelancer. The first thing that most freelancers think they should do is set up a Facebook page and possibly a website to promote their business. If you build it, they will not come. It’s not enough to put up a website and Facebook page and call it a day for your marketing efforts. As a freelancer, the majority of your work will come from referrals and through word of mouth on the back of clients, friends, colleagues and acquaintances. As such, it’s going to be important to make an effort to develop and nurture relationships with people in industries and organizations that would be interested in your services. In chapter 4 we’ll dive deeper into what marketing efforts you can take to drive success. For now, it’s important to simply understand the power of relationships. You will be amazed by the power and role that relationships will play in your career. If you haven’t already figured it out, relationships are the backbone of business, politics and everything that happens to us. Build relationships intentionally and you will start to see more and more opportunities open up. Speaking of relationships, you might be wondering how you can keep your personal relationships healthy? We’re going to talk about that in Chapter 9. But before we do, let’s talk about how you can keep your day job while chasing this new freelance opportunity. The calendar app on your laptop or smartphone isn’t just for scheduling meetings. It’s also a tool that can be used for planning and scheduling your life. Don’t be ashamed to lock in time for your freelance work in your calendar. Blocking off an hour a night or an entire evening once a week can make the world of difference in your sanity and ability to juggle the 9 to 5 with your ongoing freelancing on the side. I cannot put enough emphasis on the importance of having people around you that support your lifestyle. If your partner isn’t supporting your choice to do freelancing, it’s really not going to work. And that could go both ways, either your relationship isn’t going to work or your freelancing on the side isn’t going to work. Sure, you could hide it from them or do it anyway, but that’s far from the best approach. It’s key to have people cheering you on towards your goal but if not, you can also put on the headphones and ignore them. So there you have it, that’s everything you need to know about getting started. But that’s just the beginning. Running a business as a freelancer is much more than what you’ve read in these last few pages. It’s able to provide you with a side income but it’s also able to provide you with a lifestyle that differs from that in which you’re working the 9 to 5 every day for an organization that isn’t your own. It helps to remember that most people who start freelancing on the side do it because they want to someday work for themselves. It’s not for everyone but for those who want it, entrepreneurship as a full time occupation can be the ultimate end goal. In the coming chapters, you’ll learn some of the steps and insights that can be attributed to creating a successful freelance business as a full time entrepreneur. I’ve been a life-long advocate of teaching yourself as you go. The fastest way to learn is to get your feet wet. 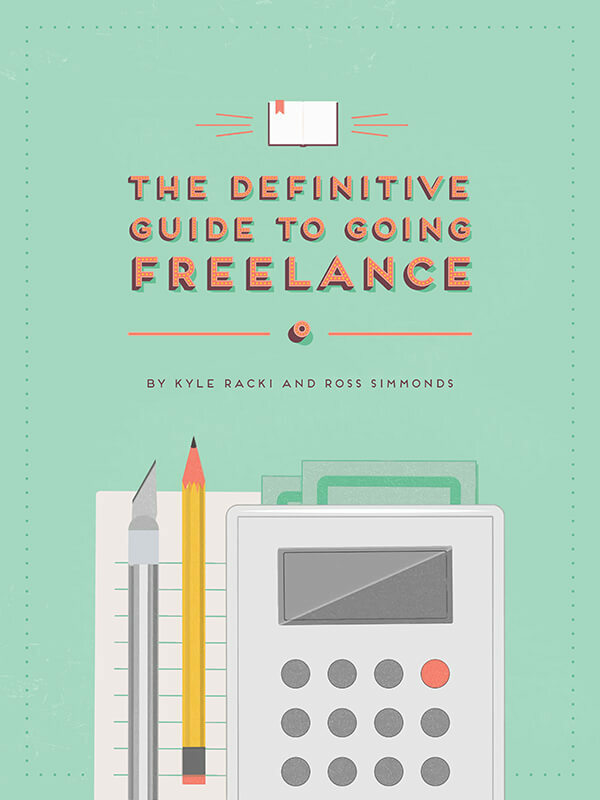 It’s not impossible to work a 9 to 5 and run a freelancing business on the side. It will require sacrifice and discipline but it will also drive significant rewards. If you’re going to start freelancing on the side, it has to be something you’re passionate about or you’re not going to give your all. Freelancing can open up new opportunities for personal growth, professional development, financial wealth and personal accomplishments. You have to find a sense of balance in your work and personal life. I like to call it work-life integration. You need a support system, a system for your personal workflow and the technology required to ensure you’re delivering at both your 9 to 5 and side business.